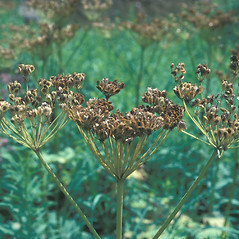 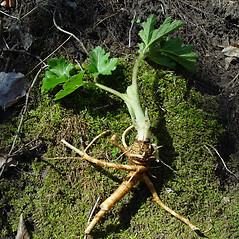 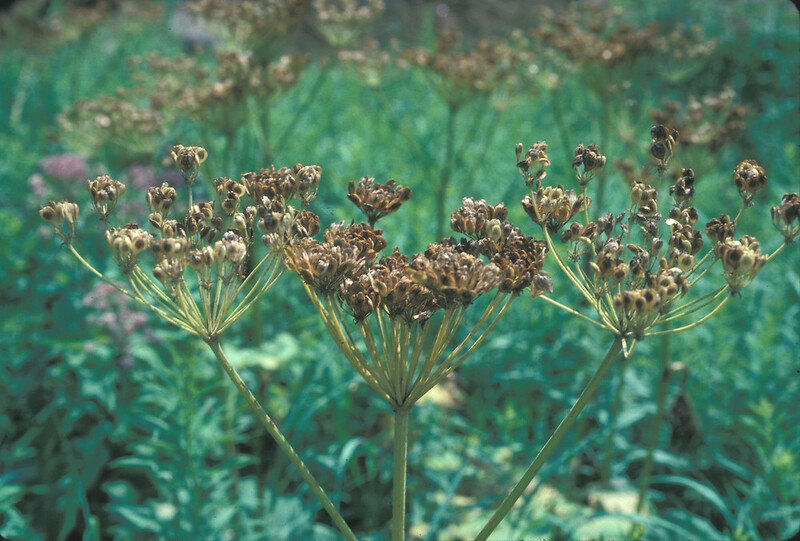 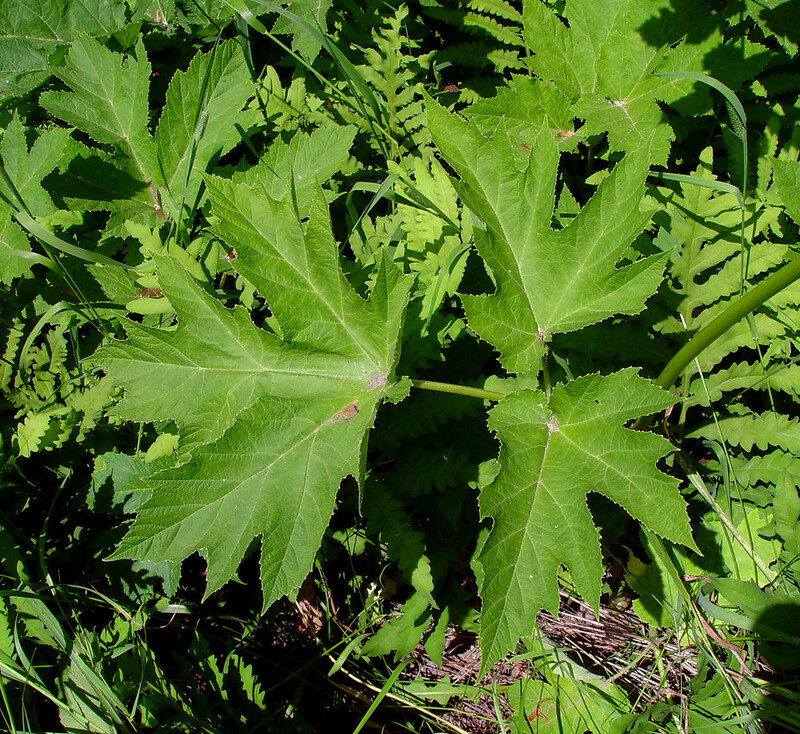 American cow-parsnip is found in a variety of habitats from river banks to subalpine meadows in all New England states. 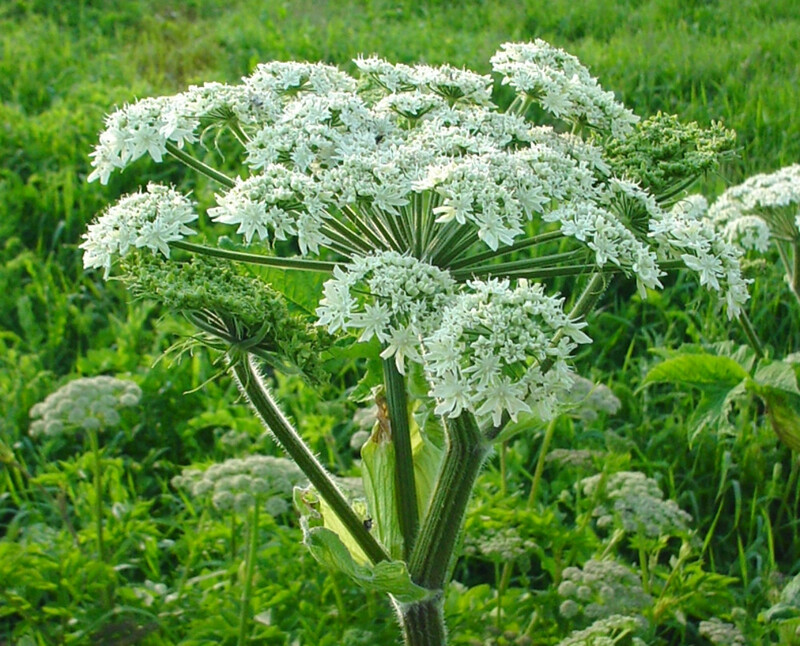 It is the largest, native species in the carrot family (Apiaceae) in the United States, growing up to 8 feet (2.5 m) in height. 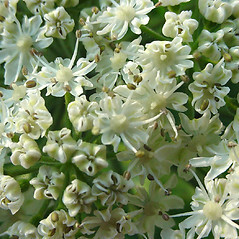 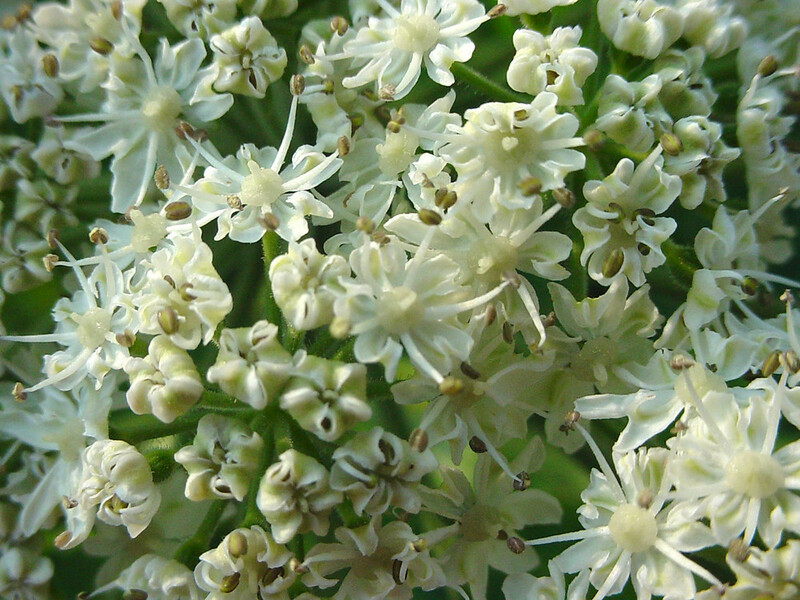 It has large umbels of white flowers and hollow, grooved stems. 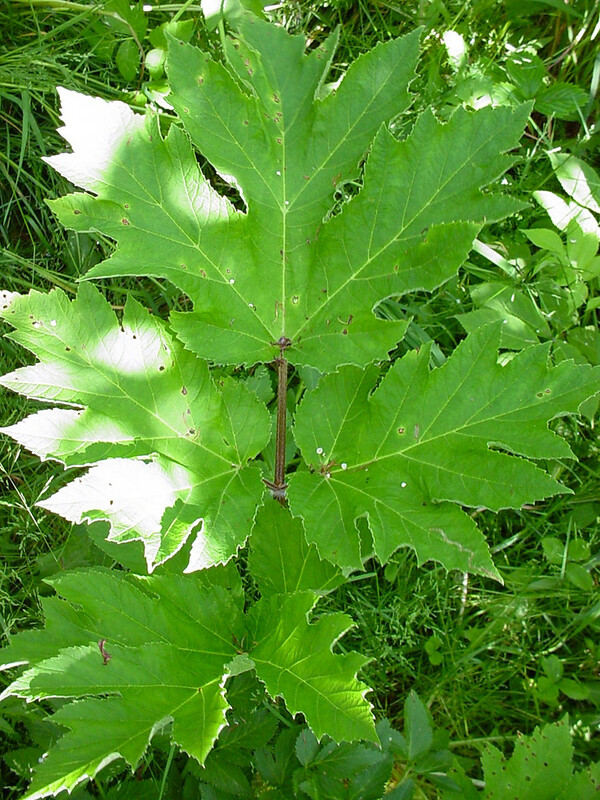 This species was very widely used by Native Americans for food, medicine, to fashion toys, as an insect repellant, and in sorcery. 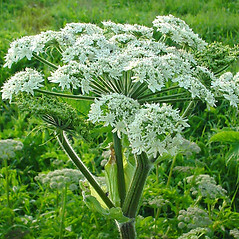 umbel with mostly 50-150 primary branches and fruit on a stalk 15-40 mm long (vs. H. maximum, with umbel with 15-45 primary branches and fruit on a stalk 6-20 mm long). 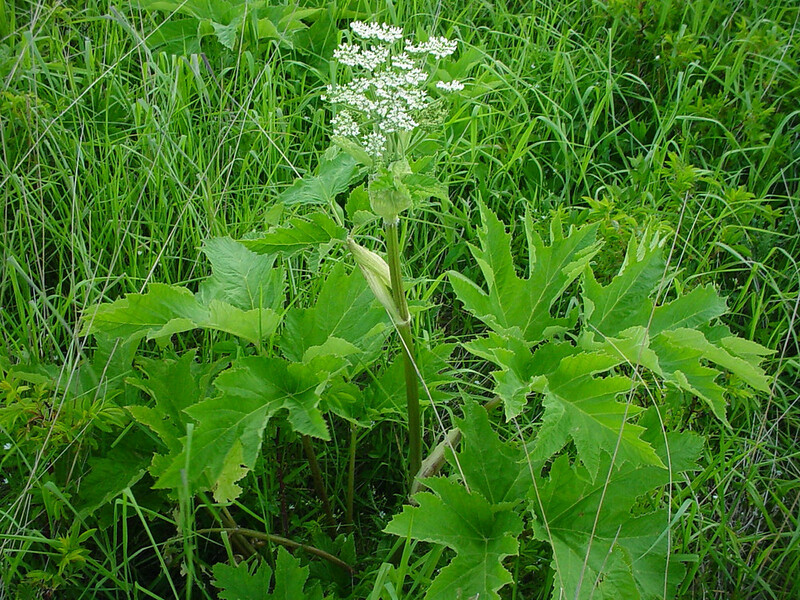 American cow-parsnip. 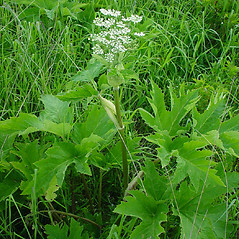 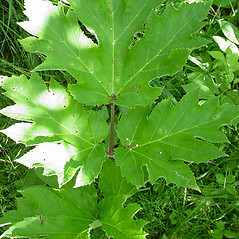 Heracleum lanatum Michx. 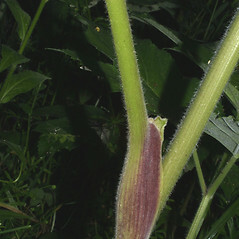 ; H. sphondylium L. ssp. 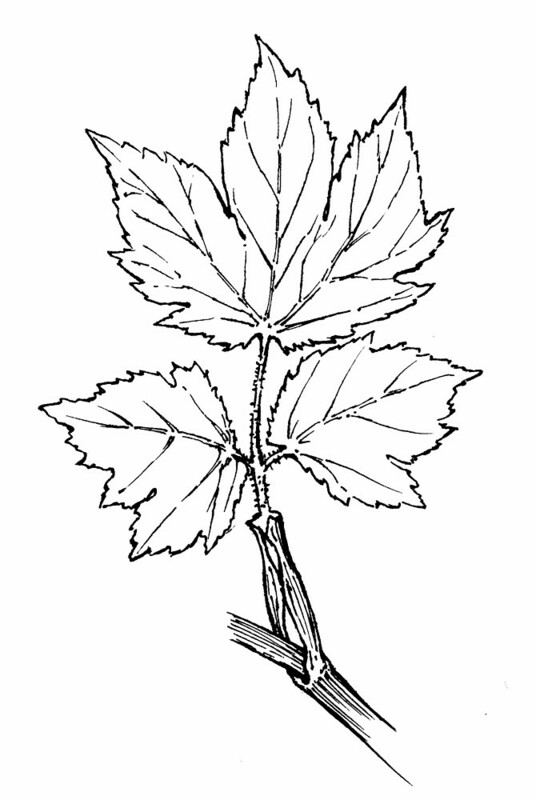 montanum (Schleich. 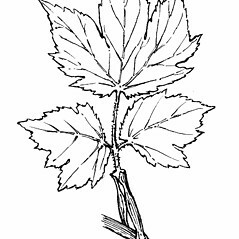 ex Gaudin) Briq. 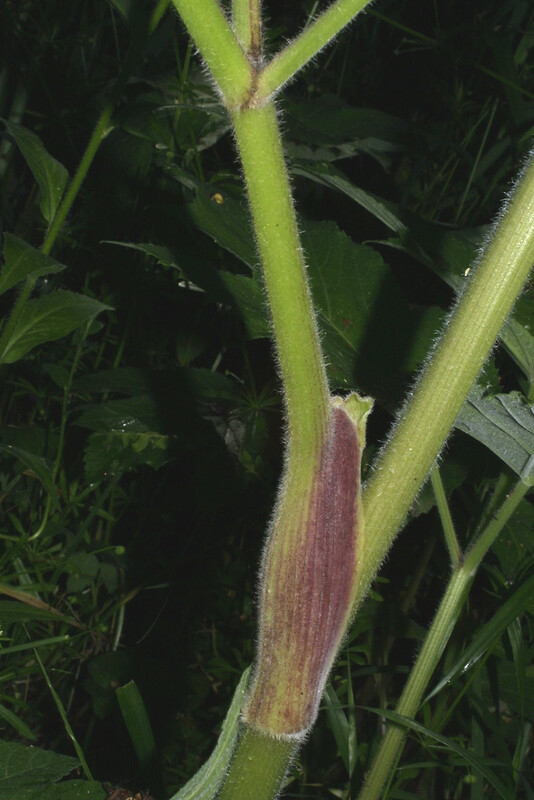 ; H. sphondylium L. var. 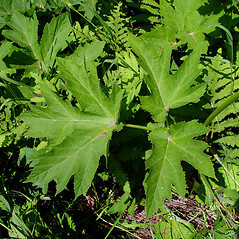 lanatum (Michx.) 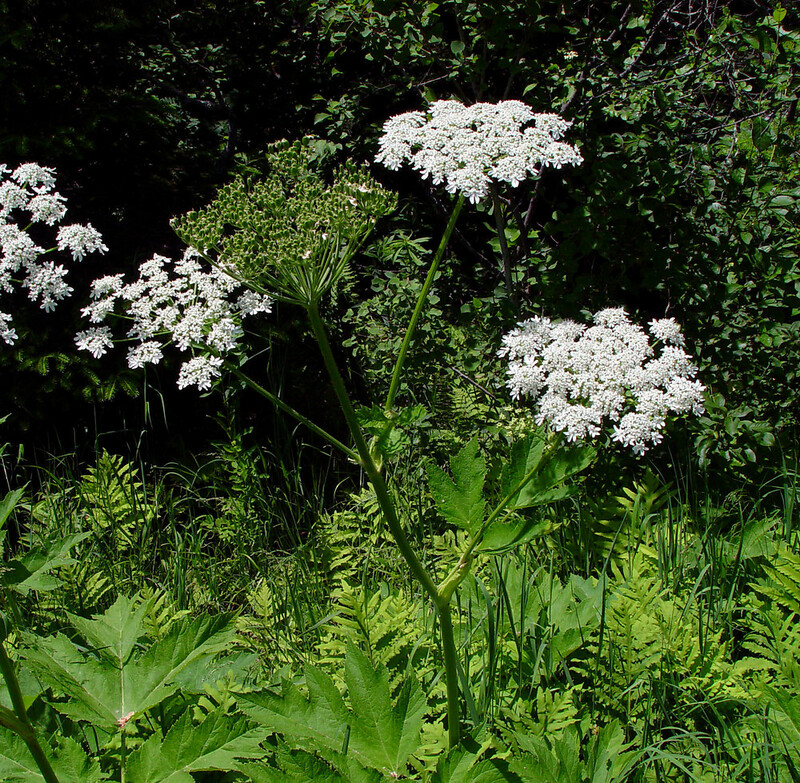 Dorn • CT, MA, ME, NH, RI, VT. River banks, riparian terraces, meadows, roadside ditches, fields, subalpine meadows.